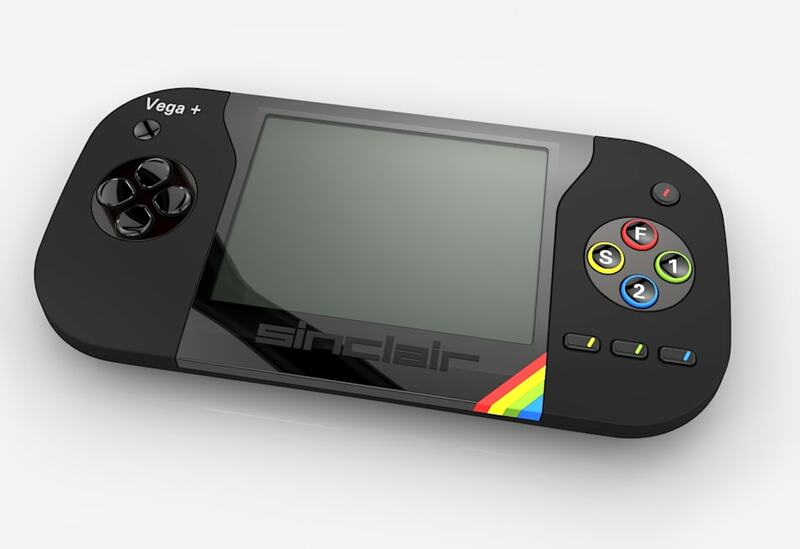 Say hello to the Sinclair ZX Spectrum Vega+. A little over a year ago Retro Computers pitched a new version of the classic ZX Spectrum on Indiegogo. The console and controller hybrid allowed anyone to play 1,000 games such as Knight Lore and Underwurldeon their TV. Now, the startup has returned with the Vega+, a portable successor that trades the Spectrum's classic looks for a sleeker and more modern package. It still comes with an extensive library, only this time you have the option of playing it on the go using the built-in display. Retro Computers is backed by Sinclair Research, the company founded by ZX Spectrum inventor Sir Clive Sinclair. Like the original Vega, the handheld Vega+ has been unveiled as an Indiegogo project, which -- as with all crowdfunding projects -- means there's no guarantee it'll ever materialise. 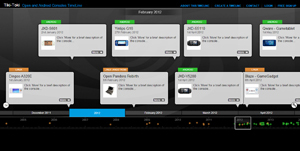 The portable's predecessor did make it to market, however, so the Luton startup at least has a track record this time around. 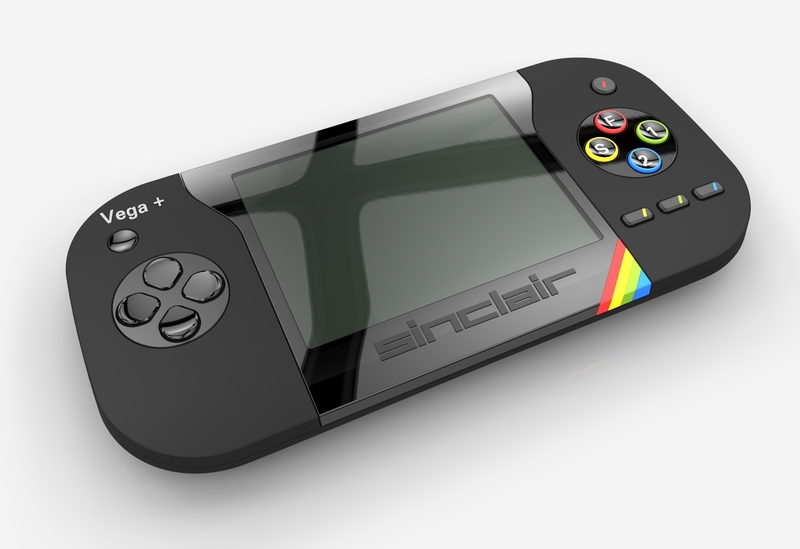 For £100 you can back the project and reserve a Vega handheld in either blue, red or white. An extra £75 will upgrade your backer reward to the limited "BLACK" version, which also includes a tour around the company's factory in Nottinghamshire. As for the console itself, well, the details are a little scarce at the moment. Retro Computers has shown off some renders -- but no working product, notably -- which reveal a basic D-pad, four circular face buttons and three "secondary action buttons." Along the top you'll find a microSD card slot for loading additional games, volume buttons and a headphone socket that doubles as the TV connection port. It certainly looks the part, and Retro Computers says it has a "fully working prototype waiting to go into production." If you can't wait that long, there's always the Recreated Sinclair ZX Spectrum, a Bluetooth keyboard that looks the part and syncs with an iOS or Android device. Il me semble qu'il y a aussi une console portable Commodore 64 en préparation. Avec le Spectrum, le C64 s'est vendu à plusieurs millions d'exemplaires dans les années 80. C'est le Zx Spectrum Next ... le vrai "revival" !